Elana Waldman was a friend, co-worker, wife, mother, and an inspiration to so many. She was deeply passionate about funding research for ovarian cancer, the disease that, after eight years, eventually took Elana from us. We invite you to continue Elana's work on ‘the disease that whispers’ by joining your voice with Elana’s Voice. Our goal is to raise $3 million to establish the Elana Waldman Ovarian Cancer Research Program at Princess Margaret Cancer Centre which will provide funding for research, clinical trials and personalized treatments that will benefit the over 2,600 Canadian women diagnosed with ovarian cancer. Click here to read the detailed plan. Please speak with Shannon Stuart about the options for more significant donations over $50,000. Click here to send Shannon an email and she will contact you directly. Join the Elana’s Voice Team at Journey to Conquer Cancer today and help us raise funds for this important program. Click on a logo below and you will redirected to the team page. 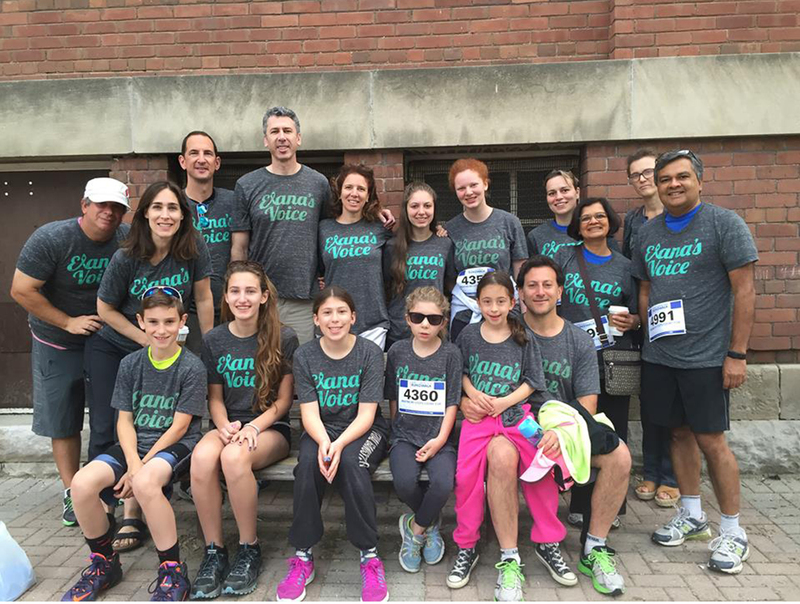 When you register, please join the Elana'sVoice Team and select the Elana Waldman Ovarian Cancer Program when asked which area you would like to support. Click on the logo below and you will redirected - please join the Elana's Voice Team and select the Elana Waldman Ovarian Cancer Program when asked which area you would like to support. and select Elana Waldman Ovarian Cancer Fund when you select you register. Several friends have already created events to honour Elana. Events such as lemonade stands, hockey tournaments, selling charms are supported by this website. Click on the button on the left side Create Your Own Event and you can set up a Personal Fundraising Page for your own event.